A Marks and Spencer employee who stole nearly €25,000 in cash from the shop floor over a three-month period has been jailed for six months. John Downes (56) of Belville Court, Johnstown Road, Cabinteely, Dublin, pleaded guilty at Dublin Circuit Criminal Court to five counts of stealing cash from the store's Dundrum branch between April and July 2016. Judge Martina Baxter sentenced Downes to two years' imprisonment with final 18 months suspended, provided he keep the peace and be of good behaviour on his release. Garda Michael Lynch told Eoin Lawlor BL, prosecuting, that Downes started working for Marks and Spencer in November 2014. On July 7, 2016, a store security guard was watching CCTV footage when he saw Downes, who was working on a till, put a number of cash bills in his pocket. Downes then transferred the money to his sock. 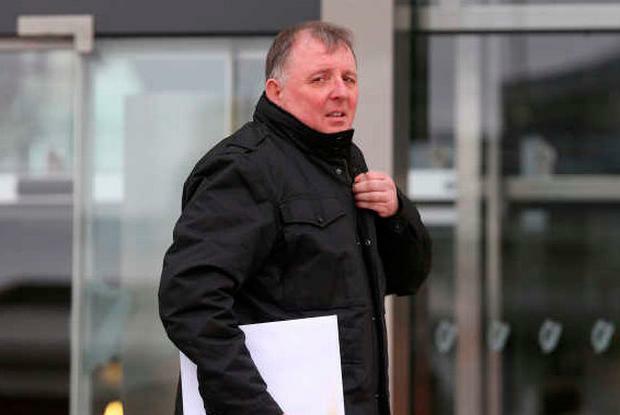 When confronted by the security and the store operations manager, Downes initially denied stealing any cash, before he eventually produced €650 in notes that he had taken from the till. He said it was his first time stealing from the store. He was suspended on full pay pending an investigation. Gardaí investigating the case found Downes was driving a BMW car with a 152 registration plate. They also discovered €950 in cash in his bedroom, which he admitted he had taken from the store. When interviewed by gardaí, Downes made full admissions to stealing the cash over a period of time. He told them he was in a considerable amount of debt due to the breakdown of his marriage and the closure of his printing business. The total amount stolen was €24,650. Downes took the money on 54 separate occasions. He said he was severely depressed and struggling to make ends meet, Gda Lynch said. Downes also apologised for his actions and said he was “ashamed and remorseful”. He told gardaí: “I've never been in trouble before” and that it was a “few moments of madness”. He has since repaid the money to the store. Tom Neville BL, defending, said his client was under severe financial difficulties at the time of his offending. His print business closed in 2015 and he also had to move out of the family home following the breakdown of his marriage. He had a number of outstanding debts, including rent and management fees. Because he had been self-employed, he had trouble accessing social welfare support. He does not have a private pension. Mr Neville said his client was extremely remorseful for his actions and had gone to great efforts to ensure he repaid his former employer. The court heard the BMW he was driving had been leased and he no longer has it. Judge Baxter said Downes' guilty plea and his co-operation with gardai were mitigating factors. She said that the crime was exacerbated by the "breach of trust" it represented. The sentence was backdated to March 23 of this year when Downes was first remanded into custody.